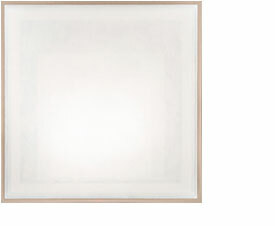 An interest in exploring perspective and the urban environment led to the series of paintings titled 'City Lights'. 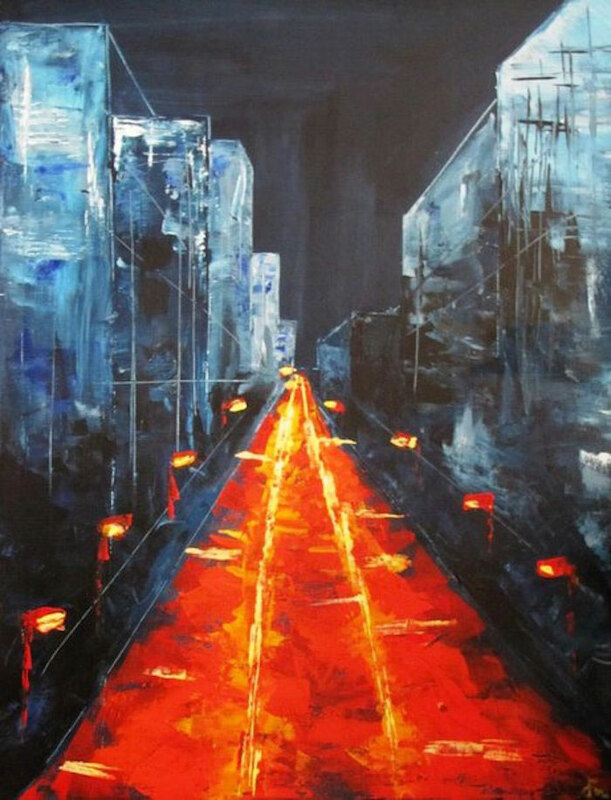 The overlapping of deep blues and the layering of red and yellow to create the fiery streets were created by applying acrylic paint using a palette knife. 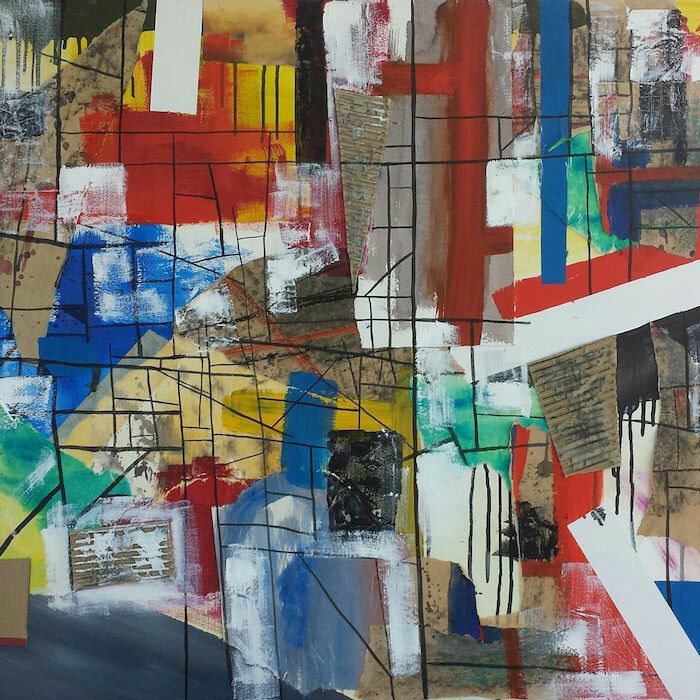 'Disturbed Forms' are abstract works influenced by the remains of collapsed buildings, the bent form and broken colours become a reflection of the anxieties of today, where nothing is stable, and where either natural or man-built forms have become unbalanced and traumatised. 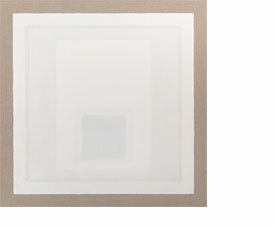 'Collages' embraces the mixed media and the endless possibilities of compositions which explore the balance between space, colour and line. 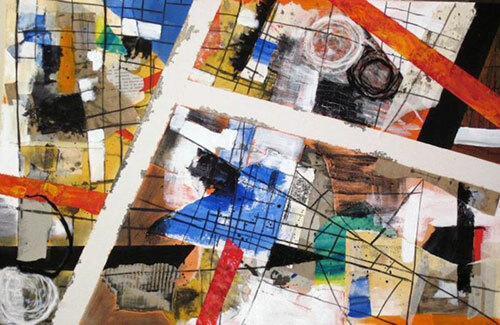 The creative process involved creating works on various papers, ripping them and then recreating a composition with the addition of ink, charcoal, shoe polish, cardboard, newspaper and acrylic paint. 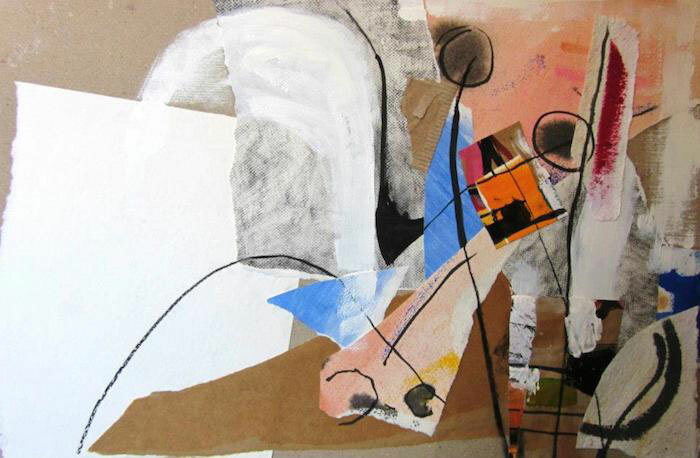 Collage #3, 2012, Mixed media on canvas, 91 x 79 cm. 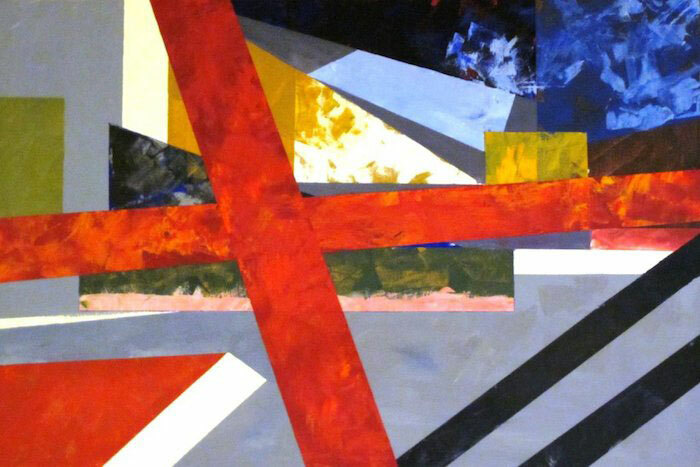 Collage #2, 2012, Mixed media on board, 102 x 102 cm. 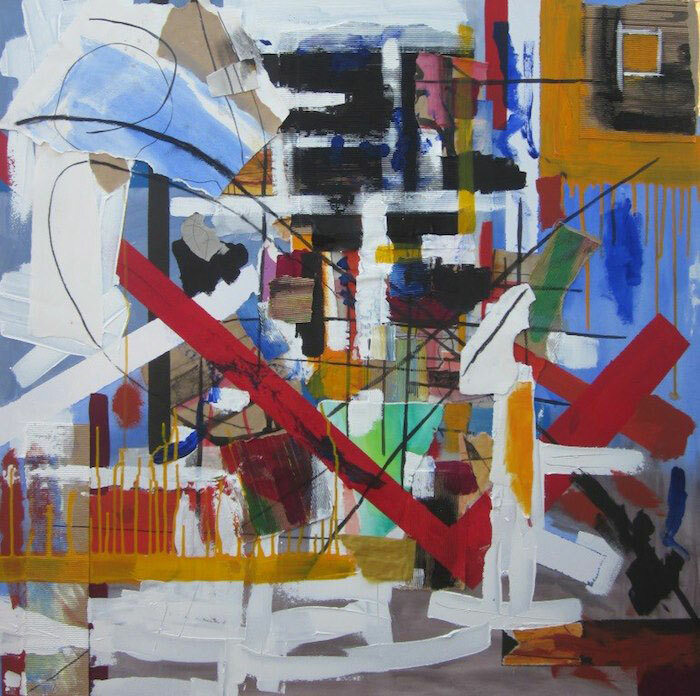 Collage #1, 2011, Mixed media on canvas, 102 x 77 cm. 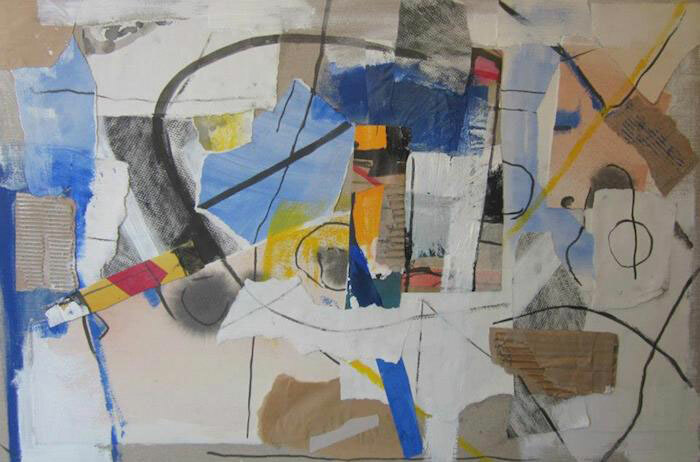 Collage Study, 2011, Mixed media on board, 60 x 45 cm. 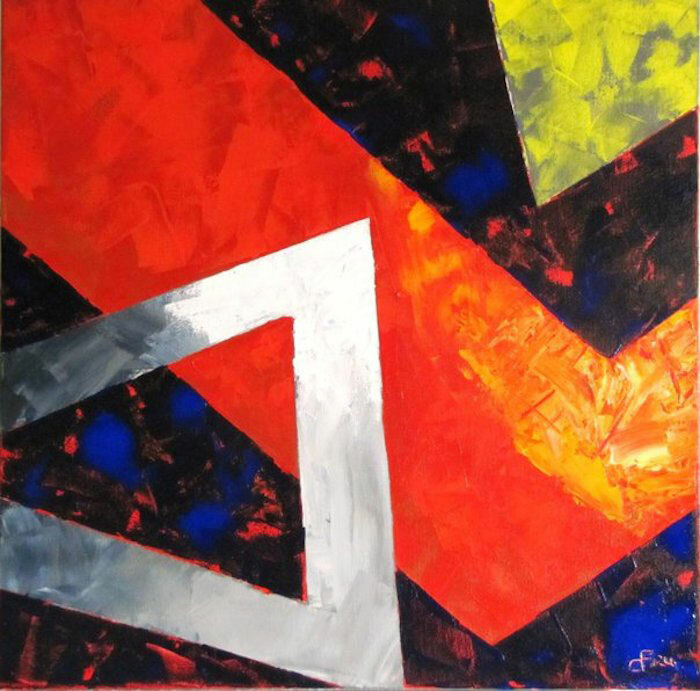 Red Cross, 2011, Acrylic on canvas, 91 x 61 cm. 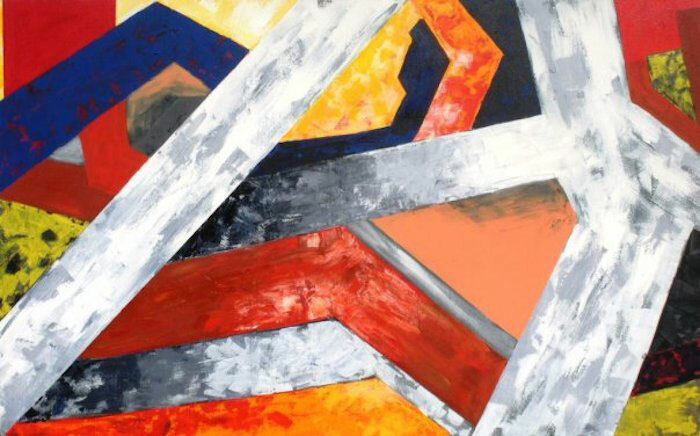 Disturbed Forms, 2011, Acrylic on canvas, 102 x 72 cm. 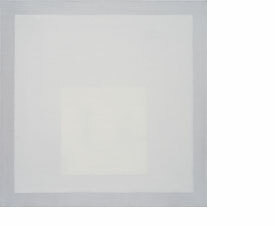 Disturbed Forms #2, 2011, Acrylic on canvas, 40 x 40 cm. 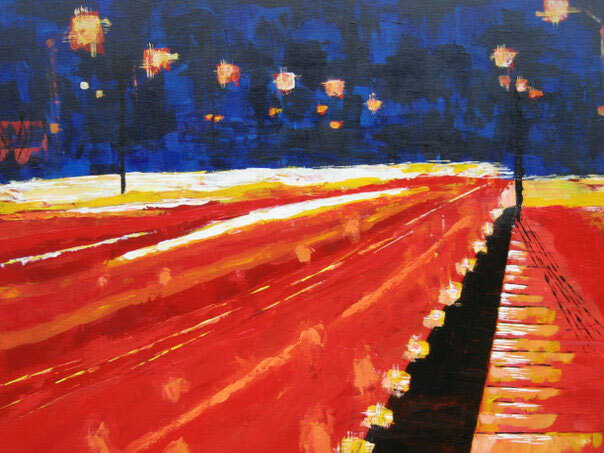 City Lights #3, 2010, Acrylic on canvas, 46 x 61 cm. 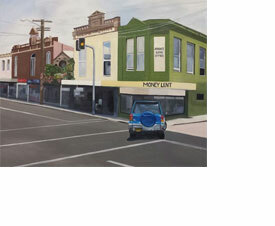 City Lights #2, 2010, Acrylic on canvas, 102 x 72 cm. 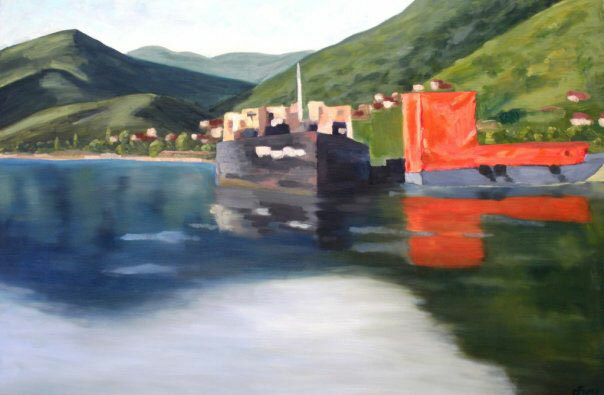 On the Danube, 2009, Oil on canvas, 91 x 61 cm.